Because I’m perpetually behind in all aspects of my life, I now find myself spending time that I don’t have perusing productivity websites looking for ways to get time “back.” So far, I’m (at best) breaking even in terms of getting back the time I spend perusing productivity websites. One of the cardinal sins of productivity these days is multitasking, which is almost universally derided as the enemy of true efficacy. So, it should come as no surprise to anyone that knows me well when I tell you that I resorted to multitasking in order to get through a backlog of wine and wine product samples to review. What you might call shiftless otioseness, I call adding value. So, I used a product sample to open a wine sample, and poured that wine sample through another product sample (into a glass that I purchased myself, so that part won’t get reviewed – I do have some limit on the number of freebies to be strung together (apparently, that limit is three). The result – a review of the True Utility Twistick, the massive 2006 Luce Della Vite red, and the Vinturi Wine Aerator (yeah, I know – I’m the last wine guy alive to try the Vinturi). I had fun, but didn’t get to the semi-orgasmic status suggested by the image on the back of one of the products (see inset pic). First up is the opener (ha-ha! ), in this case the True Utility Twistick. The Twistick is billed as “the smallest fully-working corkscrew in the world,” and it’s no longer than a typical house key. It runs about $8 and is designed so that you take it off your keychain, slide out the handle and thread it through the top of the helix screw and you’re good to go. On the plus side, it’s sturdy and the screw thread is actually full-length, which means you’ve got a fighting chance at getting the thread through to the bottom of the cork – which also means you’ve got a fighting chance of extracting the entire cork instead of only half of a cork. 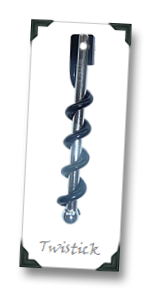 The downside of the Twistick is that, like all unhinged corkscrews, you need to employ a hefty amount of pull to extract the cork, and on a “solid 4mm bar of 422 grade stainless steel with a ball bearing on the end” that gets real uncomfortable, real fast. But according to the PR folks it won’t get confiscated at airport security, which means you can travel with it when you’re flying to some place that doesn’t have a real corkscrew, like war-torn Somalia. 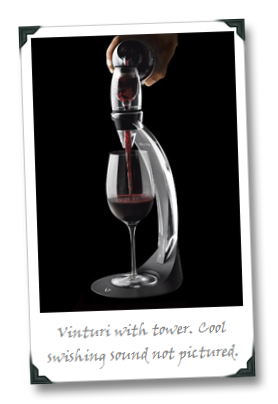 Next up is the Vinturi Wine Aerator, a product that everyone else in the wine world seems to have tried and adored. I’ve had mixed results with wine aerators in the past – in short, they seem to work but have never, in my experience, been a true substitute for decanting (and a healthy dose of patience). The Vinturi sample I received was the $50 “Deluxe 7-Piece Wine Aerator Set,” which is basically the $30 “Essential” model with a cool-looking tower to center the Vinturi over your wine glass when you pour the wine through it. Vinturi makes a bold statement about their product – “taste your wine the way the winemaker intended” – and it seems that every time I’m at a wine gathering in the Napa area somebody has one of these things in tow. After trying it out, I think I (finally) understand why. 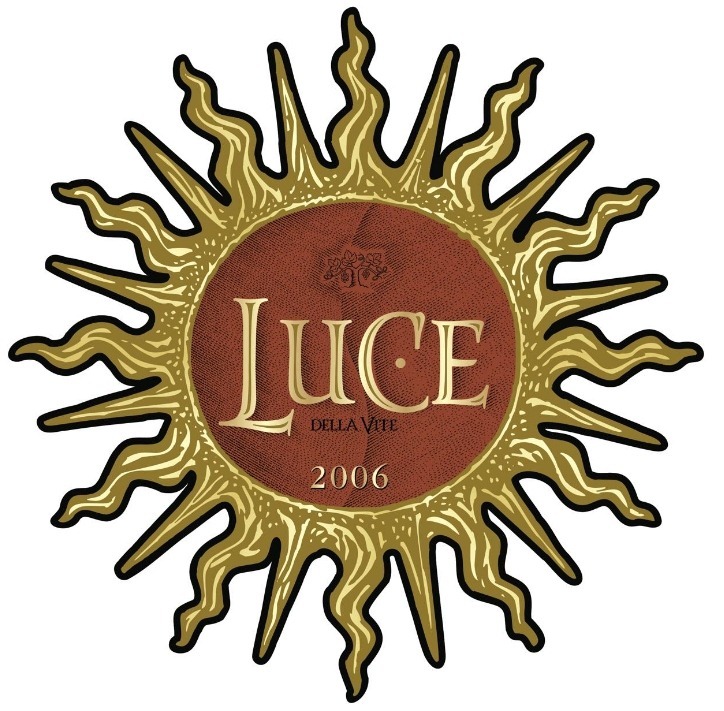 I decided to throw a challenge at the Vinturi, which in this test was a sample of the 2006 Luce Della Vite Tuscan red blend ($94), a wine that puts the “mass” in “massive” – everything is dialed-up in this wine: the booze, acid, tannins, wood, vanilla, dried black and berry fruits. It’s still tight as a drum right out of the bottle and I’d normally have let this thing simmer in its own juice in the decanter for half a day before drinking it. The result? 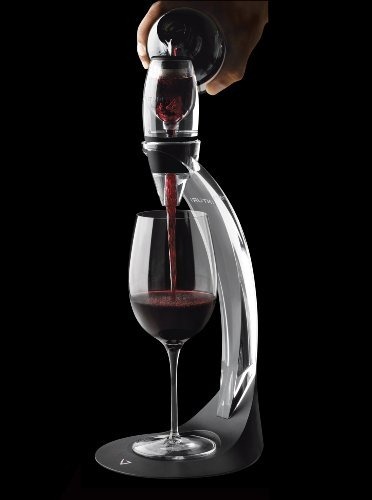 Well, the Vinturi is notable for making a really cool toy-airplane sound when it aerates the wine, and like many of the better aerators out there it does something to the wine. 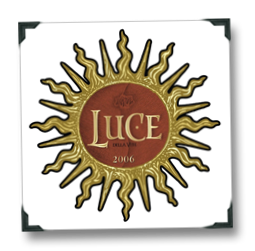 There were blackberry, tomato plant leaf, and licorice aromas prominent in the Vinturi-zed wine that were still a long way away form unfolding in the glass poured directly from the Luce bottle. In fact, in my limited wine aerator experience the Vinturi gets the closest result yet to actually decanting a wine – the drinking experience was surprisingly similar to leaving the Luce bottle half-full overnight and letting get tons of air over time. It’s the best aerator I’ve tried since the Soiree, and does a bit of a better job at getting at the ultimate goal of “speed decanting” (the Soiree still has the modest advantage of being significantly cheaper and a bit smaller). 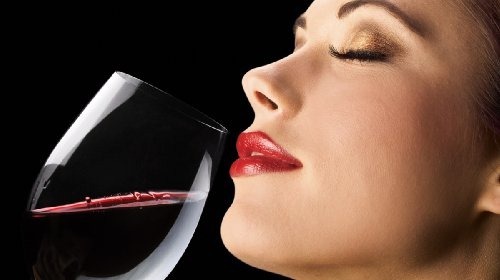 We need to end on the sobering note, however, that so far none of the wine aerators that I’ve tried are a proper substitute for the time-honored and proven method of decanting and waiting. But they are definitely getting closer. I had been joking about doing it for years, then I actually tried it at the winery one day. I didn't like how the '04 Merican was showing (a bit of green bell pepper, and all of the fruit was hidden). Dumped the bottle in a blender (a very clean blender) and let 'er rip for about 10 seconds. After the foam had gone down, the pepper was gone and replaced with the black cherries that I had remembered. Hey El Jefe – good idea. Shaking would only work of course if a) you pour some wine out first and b) you're someplace where you won't get in trouble if you accidentally spray wine all over the wall / ceiling / yourself / others. One night, many years ago, a group of friends and I went to one of these coffee shop restaurants. Dinner was served and for some reason I picked up the ketchup and decided that I needed to shake the bottle to get the thick stuff moving. Well, I neglected to check for a secure top… and the ketchup went flying all over me, my friends, and the wall. Hey Richard – you're right about the small opening being a pain. I did manage it a bit better thanks to the tower thing-a-ma-bob. You may be the last guy to try the Vinturi, but there's still a gal out there who hasn't. Guess I'm still stuck in the Old World, let the wine do its own thang! Wine is yours to play with and experience. 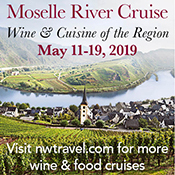 And if the wine aint tickling your V-Spot from the get-go, whip out a blender or do a molly dooker shake or a soiree and see if you can kick the wine into your drinking sweet-spot. Most everyday affordable wines have some minor flaw (balance, tight, hot, reductive etc) some more minor than others, but why not have a tool that can assist in getting the wine more to taste? I just hate to see tradition or ceremony get in the way of exploring wine. Further, the casual wine drinker should know that wine is not always perfect as-is. Play with your wine, remove intimidation, and keep it fun. I am not one for ceremony and tradition. Cheers & thanks for the mention! Hey Andrew – great to hear from you. I do love the idea of encouraging people to "play" with wine. It's not nitro glycerin, after all! Cheers!